The Hines Firm has comprehensive knowledge of complex product liability matters. With extensive experience in Product Liability Defense in the automotive industry, the firm is recognized for prominence in this area. Successfully defended cases include seat belt failures, latch door problems, air conditioning unit explosions, fires and tire failure among others. Regardless of the size or complexity of each case, we are dedicated to successfully representing each client, whether large or small. 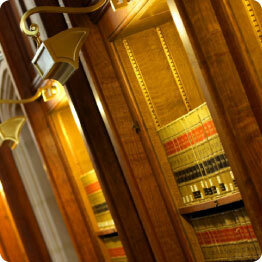 Some cases have continued for years, while others are settled in a more time sensitive manner.